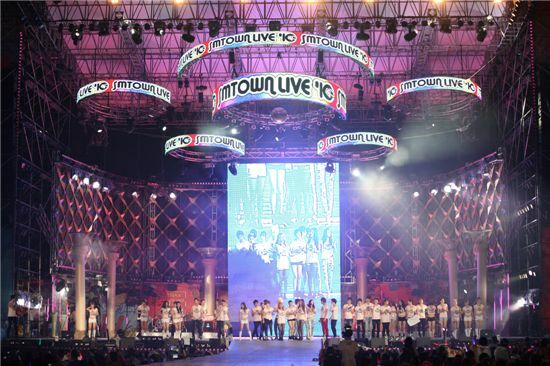 SM Entertainment’s massive in-house concert, “SMTOWN LIVE WORLD TOUR“, will finally have a stage in Europe! SM Entertainment is the first Korean entertainment company to hold a collaborative concert in Europe. The venue where they will hold the concert is famous for hosting concerts from international superstars like Ne-Yo, The Pussycat Dolls, and the Jonas Brothers. TVXQ, Super Junior, SNSD, SHINee, and f(x) – who are all scheduled to attend – are also at the center of the K-Pop wave in Europe. Indeed, just last January, a nationwide TV channel called 2TV gave a report on Europe’s Hallyu craze, which cited SM artists as the center of the wave. So, if you plan on being in Paris in June, don’t miss out on this ground-breaking event! This entry was posted on April 20, 2011 by redtofu. It was filed under Concert/Show, News and was tagged with SM, SM Town, sment.